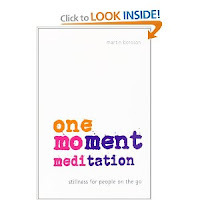 Your Happiness Factor: One-Moment Meditation: "How to Meditate in a Moment"
Learn to meditate in a moment with this hugely popular animated video, based on Martin Boroson's book, One-Moment Meditation. Reduce stress, improve focus and find peace ... right now. More info and online training at http://www.onemomentmeditation.com.